The hardest thing about being a small company is how inexplicably long things take. 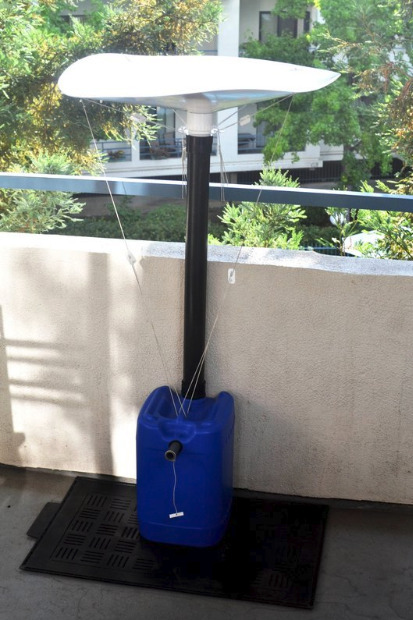 We first had the idea for a balcony based rainwater harvesting system 4 years ago. We already had customers collecting rainwater on building rooftops so balconies seemed like the next logical transition. So three years ago we started prototyping and in 2014 we even sent a unit out for a customer to test. But it took us another painstaking 2 years until today when we can finally say to customers "we are ready to ship." Most of the delay came from making sure the product is easy to use yet as sturdy as possible. Now we think we have the solution that's just right for your typical urban balcony garden. All the details about the product are here. Please feel free to contact us with questions.